Patrick is the Head of Trading at ClearBridge Investments. He joined the firm in 2005 and has 26 years of investment industry experience. Patrick leads a team of six traders operating from a global multiple asset class platform. The desk supports portfolio management teams located in New York, Baltimore and Wilmington, and keeps in constant contact with portfolio managers and analysts in order to achieve best execution. He is also a member of ClearBridge’s Management and Brokerage Committees. Prior to joining the firm, Patrick served as Head of Trading at Hygrove Partners, LLC. 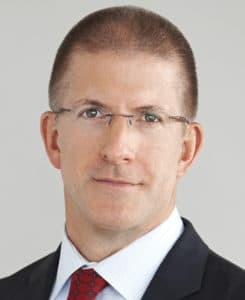 His previous positions include Managing Director of Trading at Centurion Investment Group, Risk Arbitrage Trader at American Securities, and Vice President at Bull & Bear Securities. Patrick holds a BA in Finance from the University of Dayton.